Okay, well those are, on the surface at least, apparently credible reasons but pondering a bit more upn them a few questions arise. Should this be surprising? Probably not, but that doesn’t help guard against the shock, especially after hearing just last week, on the same top-of-the-hour newsbreak, that gas prices are expected to fall over the next year. So why the turn around? 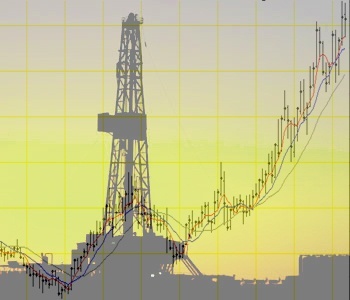 Why are are crude prices going up? Well, supply disruptions or reductions due to natural disasters, regional unrest, increased demand and decreased production are a few reasons for temporary fluctuations. But the drivers of the increasing volatility of oil prices over the past dozen years are due in a large part to the futures markets or speculators. These are markets whose players hedge bets on future crude prices on what are essentially “what-if’s”. What if the hurricane hits the Gulf Coast? What if revolution breaks out in the Middle East? What if a particular dictator passes wind in the wrong direction? Currently, there are no natural disasters impeding supplies. There are no new wars breaking out. Demand, in the US at least, is low and production has not decreased. The price increases hinge upon speculation market-based fear. But what is the fear this time around? Perhaps markets are hedging the supply will fall or global demand will continue to rise. Maybe speculation is betting on this double-whammy. A St. Louis Federal Reserve study found between 2004 and mid-2006 speculation contributed more to the price of oil than both global supply and demand combined. The study concluded, even though global demand is the primary long-term driver, from 2004 to mid-2008 speculation accounted for 15% of the cost per barrel. It was a significant contributor to the boom and bust cycle of this commodity. Whichever the reason, it’s not actual traditional market forces that are causing these increases, it’s the anticipation of those forces moving in a particular direction. This, right now is why up here in Far Northern California, prices at the pump are already between $4.17 and $4.27 a gallon depending on the station. While demand for California demand hasn’t necessarily increased, the balance between supply and demand is precarious with little room for fluctuation. So a shutdown of on refinery and planned shutdowns of other, oil traders are hedging their market investments along this years disruptions. California isn’t the only area dealing with this problem. Prices at Midwest pumps jumped 22.8 cents the beginning of this month. This caused a subsequent jump in the average price nationally. This is puzzling one. While much of the country is still in the grip of winter, the season switch to the summer blend is already taking place. There’s still more than a week left in February and Spring doesn’t officially begin until March 20th. So why are refineries switching early this year? No one appears to know, no one is providing any answers on this one. So what’s to be expected for 2013? Higher gas prices from now and on through the summer. The reasons provided are fairly questionable with few answers given. In the end it seems speculation is again the primary driver, benefiting a select few while the rest are left to suffer the burden of higher prices for travel and for all those goods and services we all depend on to manage our lives day by day. There hasn’t been a new refinery built in the U.S. in the last 40 years, because they like it that way, not because of regulations. Every time a refinery (working at or near capacity must shut down for any reason, it reduces the supply of gas which rachets up the price of gas. When the refinery is brought back on line, the prices do not fall as far as they rose, so the price keeps going up. Futures markets are supposed to stabilize prices, according to the experts, but futures trading in gasoline has only caused them to be unstable and to go up. Switching refineries from one blend to another causes price increases and these things are manipulated? I am shocked, I will tell you, shocked! All of these “causes” have one thing in common … all of them … make money for very wealthy people. Are we at all surprised? The only thing surprising to me is that we just keep taking it and there is no fight back. Possibly we are too distracted by the Kardashians, the Tea Party, and other sparkly objects that draw attention away from things that count. In my research for a previous piece I found that there was significant consolidation of refineries during GW’s time in office. Was it influenced by that administration or was there some governmental approval process? Not sure. But it still remains there are indeed fewer refinaeries in operation no than in the past. And yeah, isn’t that interesting how those prices never drop as quickly as they rise, and they never go back to their previous levels. An accurate summation. And I’d say it’s that desire to make more money is a significant driver behind the opposition to alternatives/renewables. Those sources do not have anywhere near the potential for market volatility oil does which translates to lower returns on their risk investments. Stability, it seems, is antithesis to the very wealthy few’s global vision. “The only thing surprising to me is that we just keep taking it and there is no fight back. I’d say the pro-oil. status quo crowd is too adept at keeping the divisiveness alive. They’ve got such great talents in keeping both sides pitted against one another that noting gets done. Here in Toronto, Canada, the price is now $1.33 per litre. One dollar per litre roughly translates into $4.00 per U.S. gallon. Consider that much of the gasoline used in the central part of the U.S.A. originates in Canada, and the folks in Alberta are complaining about low refinery prices for their exported oil. Yes, when will there push-back? Are we the people who we have been waiting for? There is push-back but the powers that be don’t seem to have the will to act. Just gotta keep educating people to the realities.